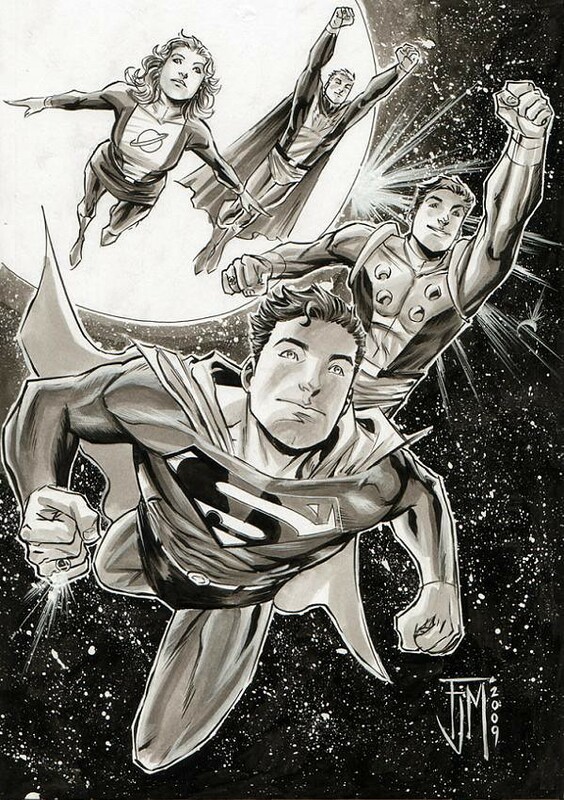 Superboy and the founding Legion members (Saturn Girl, Lightning Lad, Cosmic Boy) flying in space. I love how the Legion Ring shines on Superboy's hand. Nuff Said!